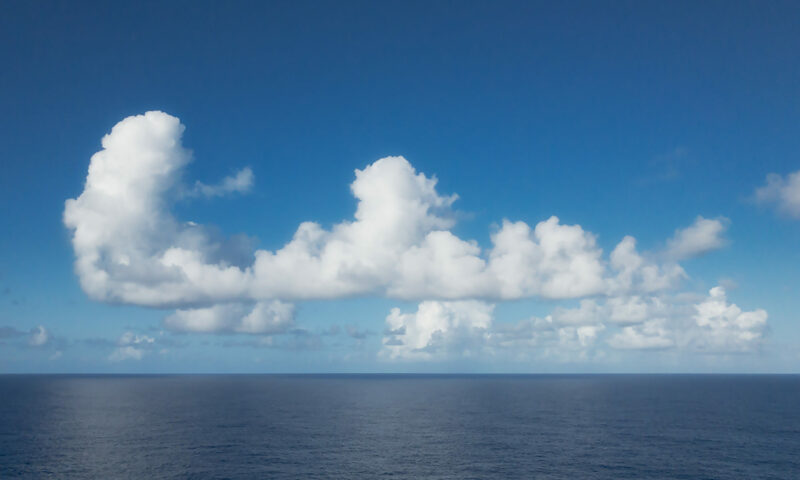 When crossing the Atlantic, we’d see these singular clouds. They’de float by like big animals casting reflections on the water. The clouds change the color of the water surface which plays tricks on your eyes. It looks like the sea has variations of light and dark patches. However, when you’re out in the middle of the ocean, the only thing that changes is the light hitting it. That took me two days to figure out. There’s a lot of free time on a long crossing, enough to look up and see what shapes the clouds are making. Between sitting by the pool and sitting at the bar, I did manage to have a little extra free time. In this case, I could see an elephant sitting down with his back to me. But that’s obvious, right?